Growing in Evansville. The garden has been in full bloom for the past month and a half. So far we have harvested over 21 different types of vegetables and herbs -- 26 lbs of lettuce, over 100 cucumbers, 20 lbs of Okra, 100 lbs of cherry tomatoes, and cantaloupe! The excess has allowed us to give some favorites away to our neighbors. 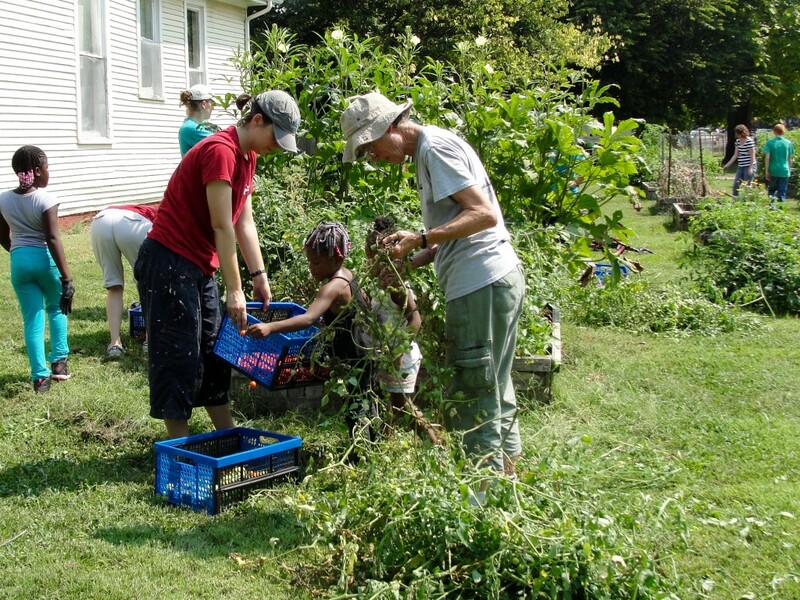 The garden has provided a great opportunity for all the members of the People of Praise in Evansville to spend time working, growing in friendship, and maintaining a beautiful space for the neighborhood. One of our older neighbors who goes for walks around the neighborhood every day told one of the missionaries as they were watering the seedlings that she prays for the Garden every time she passes it, which is two or three times a day. Two men driving down the alley stopped and told a group of missionaries as they shoveled dirt that, "We've been praying for that tree," pointing to a plum tree visible from the alley. One of the neighbors who lives near the garden told us, "a lot of times at night I will come out and walk around the garden, it's so quiet and beautiful!" Lastly, on many occasions throughout the summer girls will stop and ask to have some flowers from the sisters flower bed. They are then taught the proper way to cut the flowers, as for many of the girls it is their first time. They always leave with a glowing smile! The garden has been a great source of growth. One example is between Kaitlyn Raway and Carrie Johnson, who helps manage the farm. Kaitlyn says, "I didn't get to see Carrie regularly until we started working in the garden together. Carrie taught me about plants pretty much every time we worked together. I was amazed that she could go up to little tiny plants and know what they were. I also started to take on the cares and concerns that Carrie had about whether or not any of our seeds/seedlings (mostly tomatoes) were even going to make it. 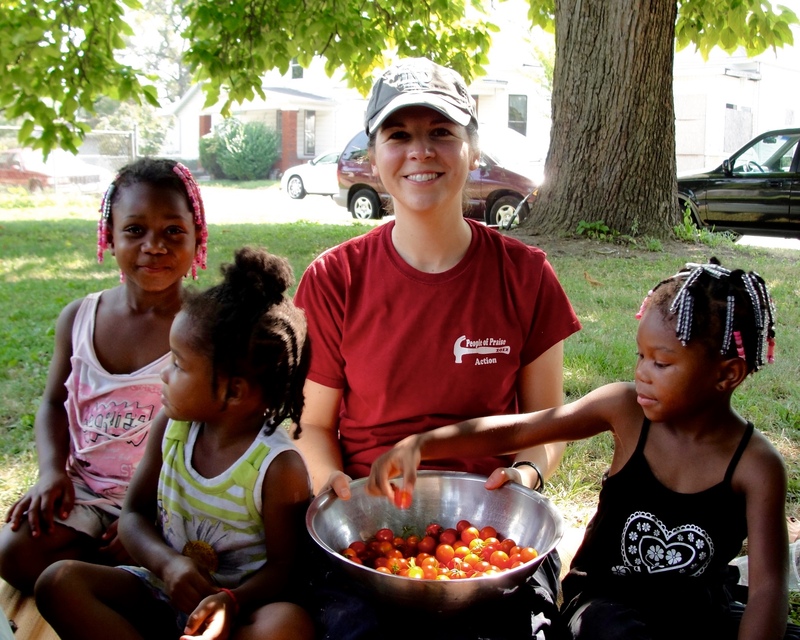 I joined in Carrie's joy when we had more than enough tomato plants to go around." 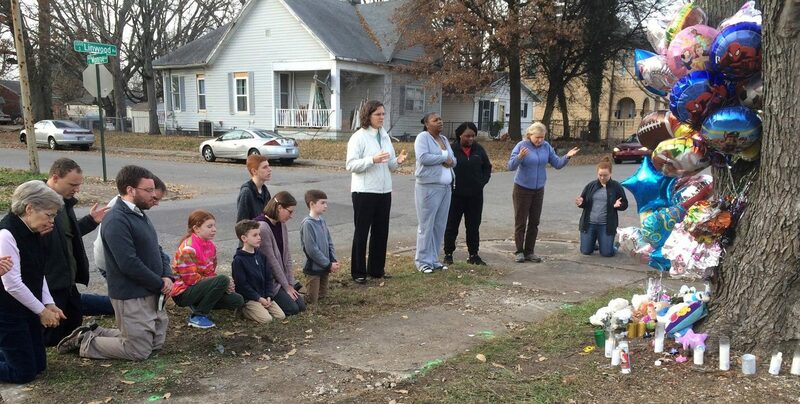 Please pray that the garden continues to be a source of community growth and beauty in the neighborhood.